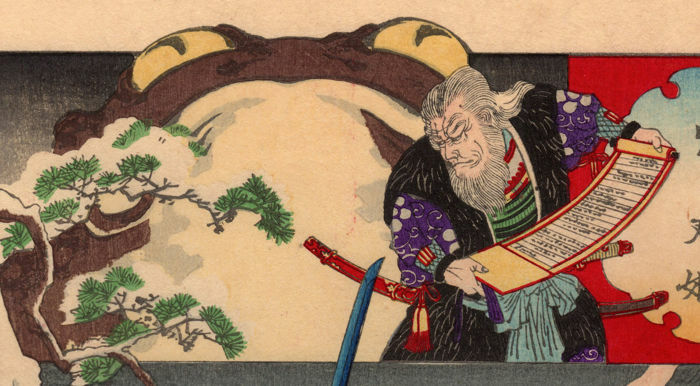 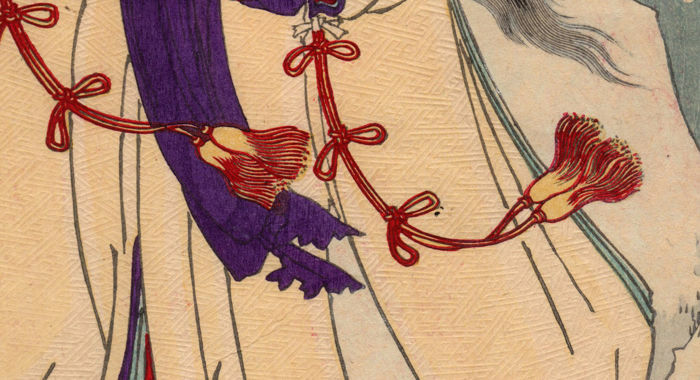 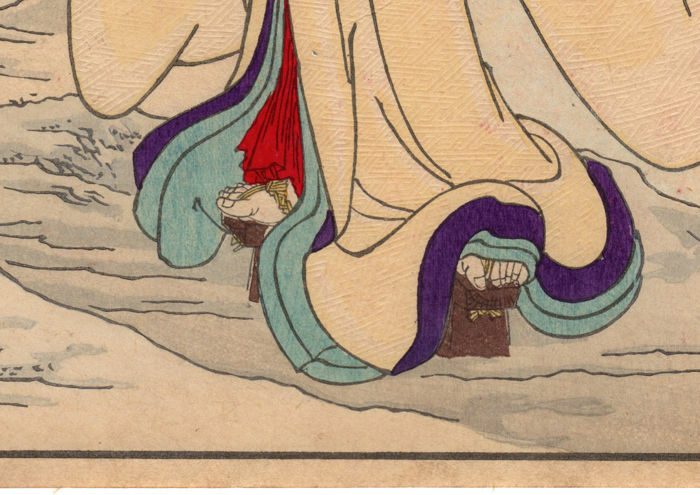 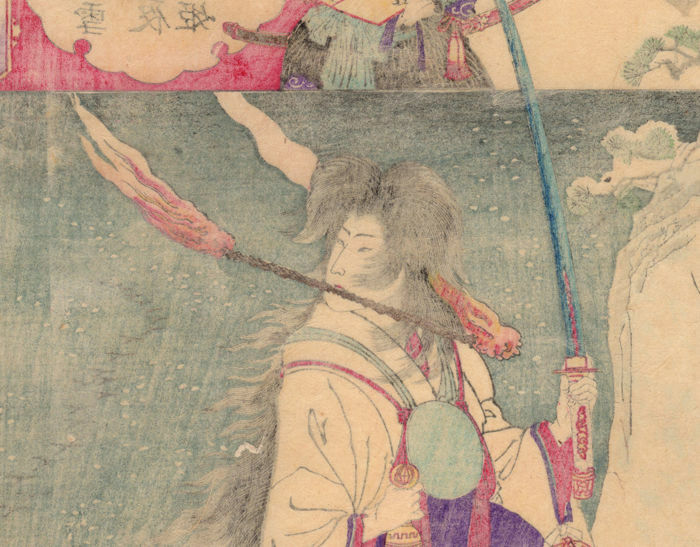 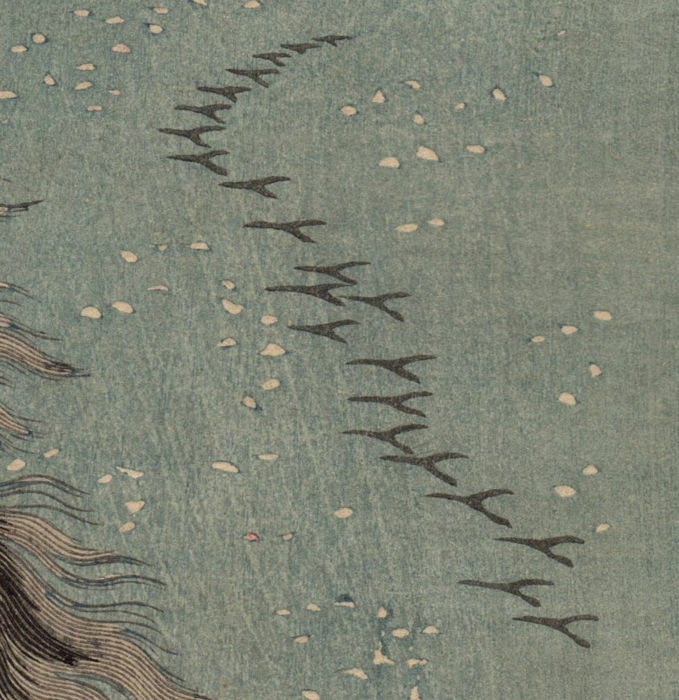 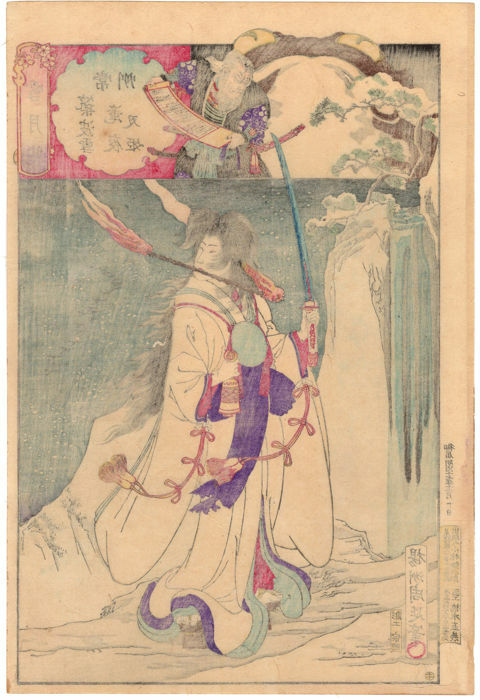 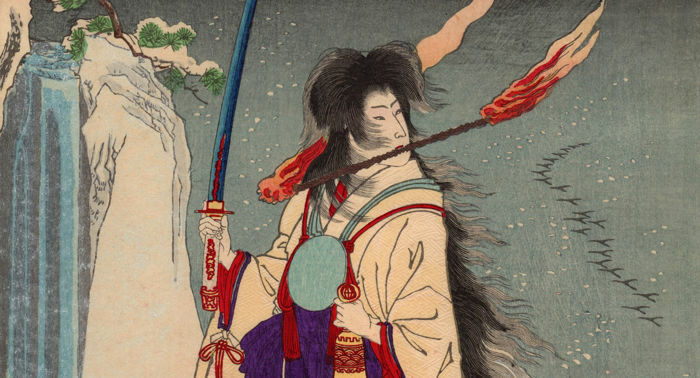 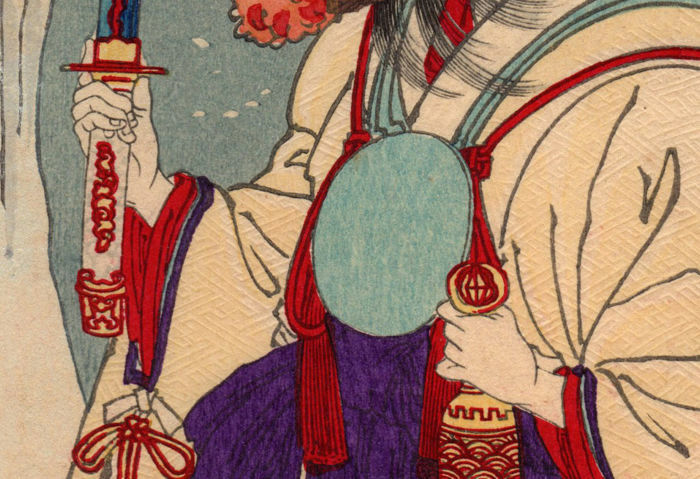 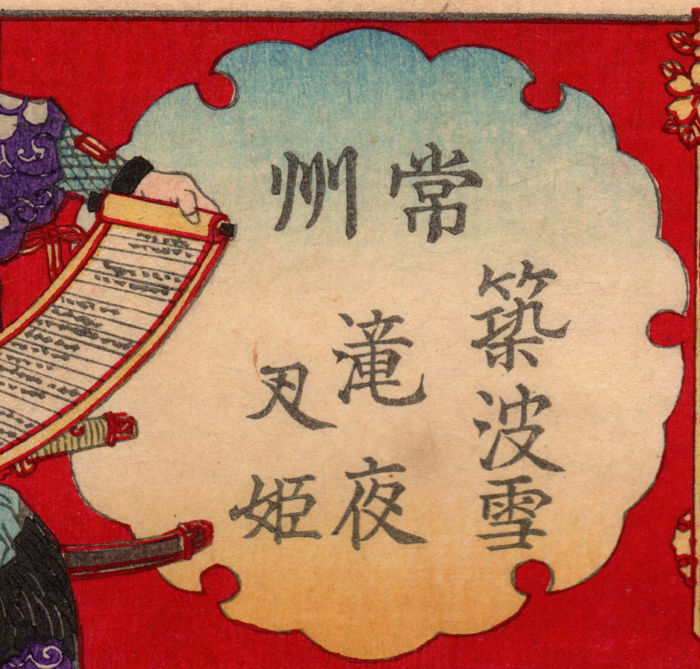 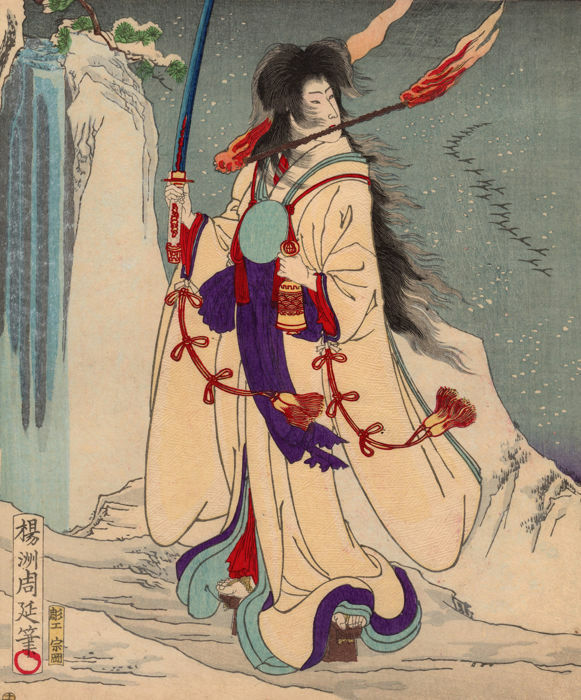 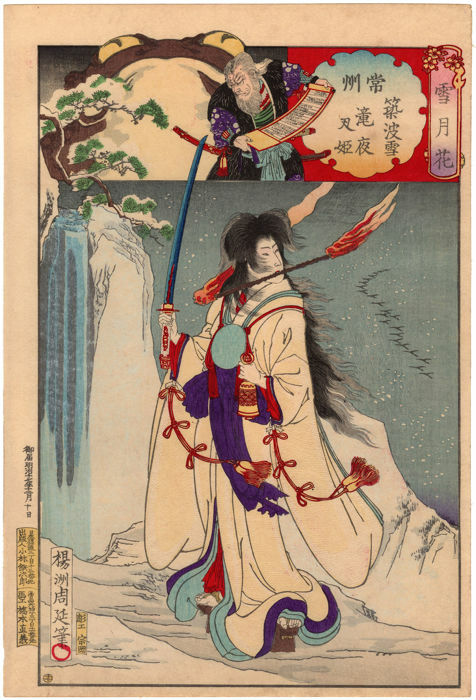 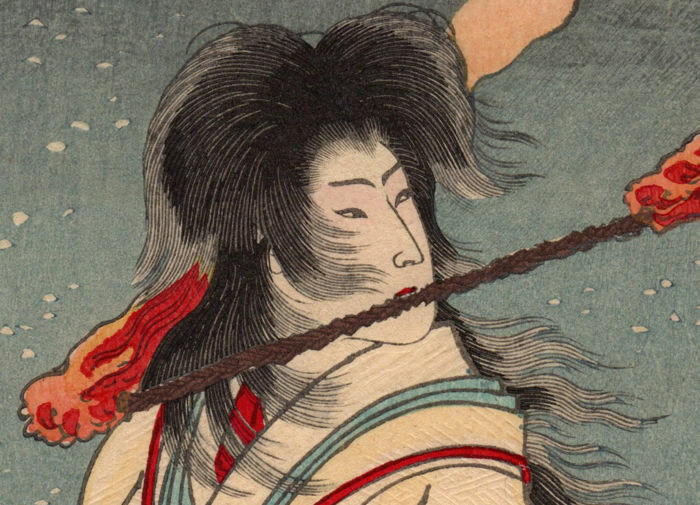 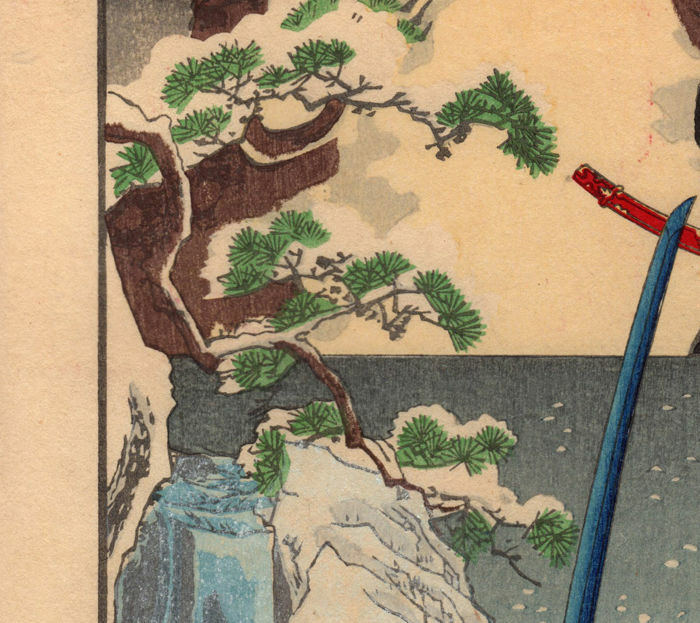 This precious representation of the protagonist of the aforementioned famous legend of the Heian period is taken from the series "Snow, Moon and Flowers" (雪月花), made in 1884 by the artist Toyohara Chikanobu. 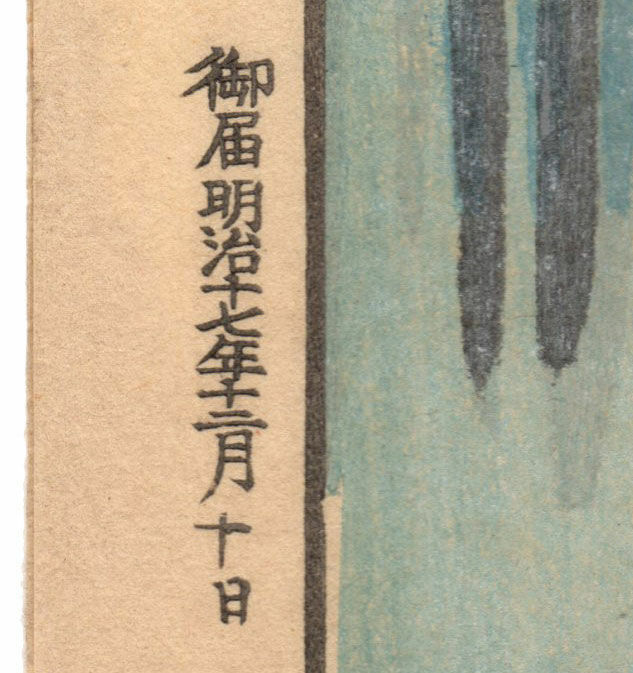 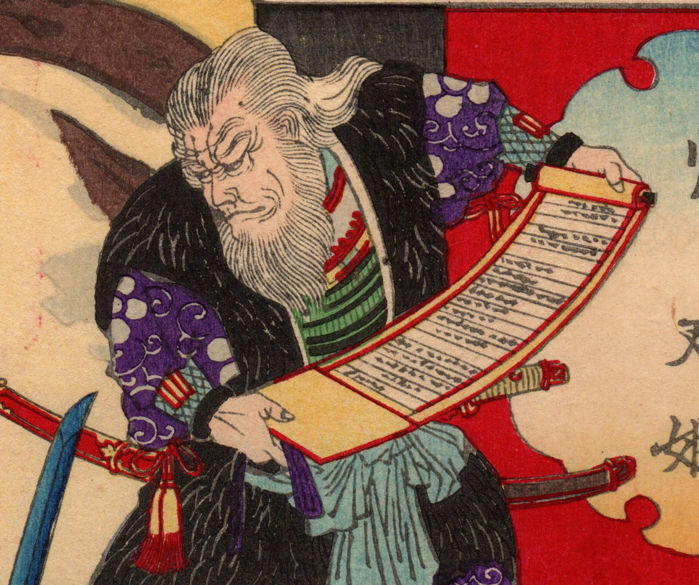 The print on Japanese washi paper, edited by the publisher Kobayashi Tetsujiro (小林鉄次郎), is in very good general condition. 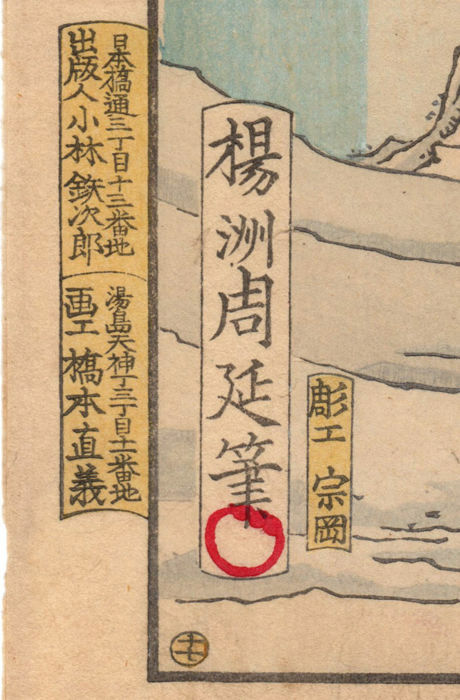 U kunt dit kavel ook ophalen bij de verkoper: Tokyo (Tokyo-to), Japan.